Up to $1.4M is available from NAIDOC Grant Funding to support activities being held during NAIDOC Week that celebrate Aboriginal and Torres Strait Islander histories, cultures, and achievements. The 2019 NAIDOC local grant round provides grant funding to Indigenous and nonIndigenous organisations to contribute to the costs of local and regional NAIDOC activities across Australia. The program is important in contributing to the Australian Government’s commitment to support, and raise awareness of Aboriginal and Torres Strait Islander culture within the wider community. The NAIDOC grant funding round aims to support activities being held during NAIDOC Week 2019 (7-14 July) that celebrate Aboriginal and Torres Strait Islander histories, cultures, achievements and continuing contributions to our country and society. Contribute to the strengthening of Indigenous cultural expression and revitalisation, including recognition of Australia’s shared history and valuable Indigenous heritage. Support activities that increase the participation of Indigenous Australians in Australian society through improved individual, community and organisational capability and leadership. Applicants are strongly encouraged to align their project with the annual NAIDOC theme. The National NAIDOC Theme for 2019 is ‘Voice Treaty Truth, Let’s Work Together for A Shared Future’. The Department has committed $1.4 million for NAIDOC grants in the 2019. While there are no maximum or minimum amounts that you can apply for under this grant round, the vast majority of grants in previous years have been for amounts between $200 and $5,000, with a small number of larger grants awarded for significant proposals. Project activities are expected to occur during NAIDOC Week. However if this is not possible, activities must be completed by 31 December 2019. The following list provides a sample of the types of activities that have been funded in previous years as a guide to potential applicants. This list is neither exhaustive nor mandatory. Applicants should use the Culture and Capability Programme Outcomes (Annexure 1 Section 22.4 of the IAS Grant Guidelines) to check the proposal is in scope of this funding. You should also refer to the assessment criteria to ensure this can be addressed. 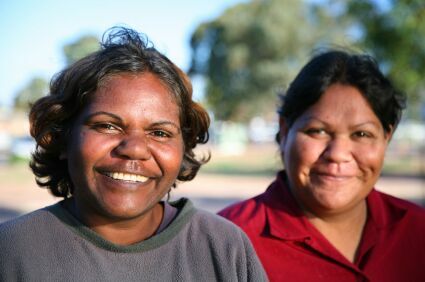 Activities that promote health outcomes for Aboriginal and Torres Strait Islander people. The Department encourages applications for the funding of services and activities tailored to local circumstances with the involvement of Indigenous communities. Wherever possible, NAIDOC grant funding proposals should seek to engage local Aboriginal and Torres Strait Islander people to assist in delivering the project. It is important to note that funding is not guaranteed and will be subject to the outcomes of the assessment process. Applicants must meet all eligibility criteria outlined in the IAS Grant Guidelines and documented in the relevant sections of the Application Form. In general, Commonwealth and state and territory agencies and bodies (including Government Business Enterprises) are not eligible to apply for NAIDOC grant funding. However, schools and correctional facilities are eligible. Commonwealth and state and territory agencies and bodies may apply on behalf of a school or correctional facility.